Hermetia illucens (Black Soldier Fly). Size: approx. 20-25 mm. Photo: 06/20/12, 10 pm. 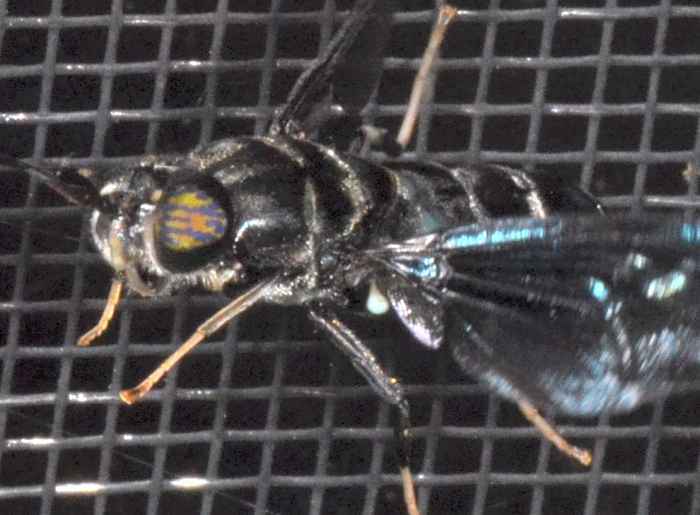 The Black Soldier Fly (Hermetia illucens) can be found in most areas of North America. 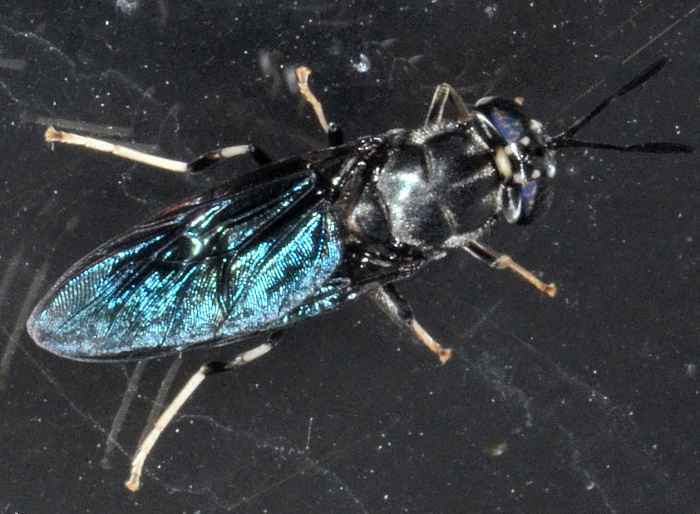 It is large and black with shiny, blueish wings. It is clearly a wasp mimic and buzzes like a wasp. 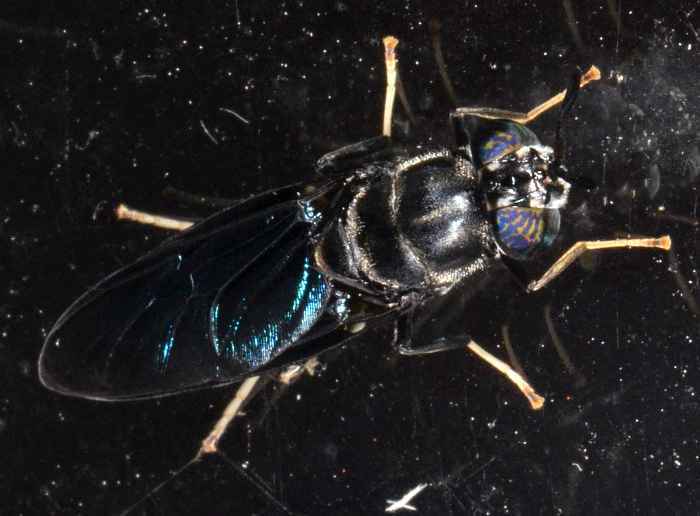 According to the second link this fly "does not have mouthparts and does not feed upon waste. They do not bite, and as only the larva feed, are not associated with transmitting any diseases. Also, this species makes the breeding areas of houseflies less desirable."